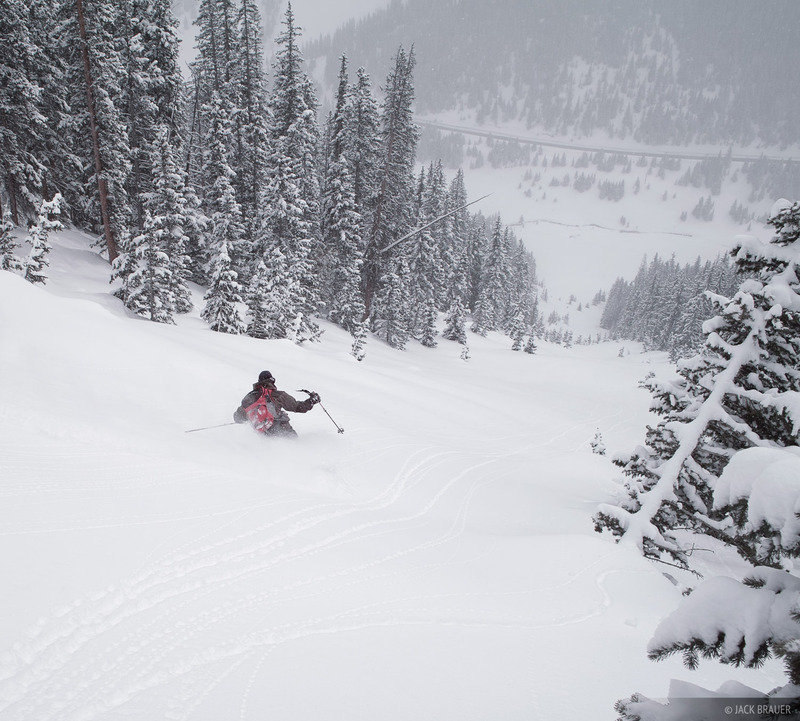 The 2007-2008 snow season has been an epic one, with record breaking snowfalls in western Colorado. The town of Ouray (where I live) got over 21 feet of snow, more than twice the average, and the most in 60 years of records! The high mountains probably got twice that, if not more. 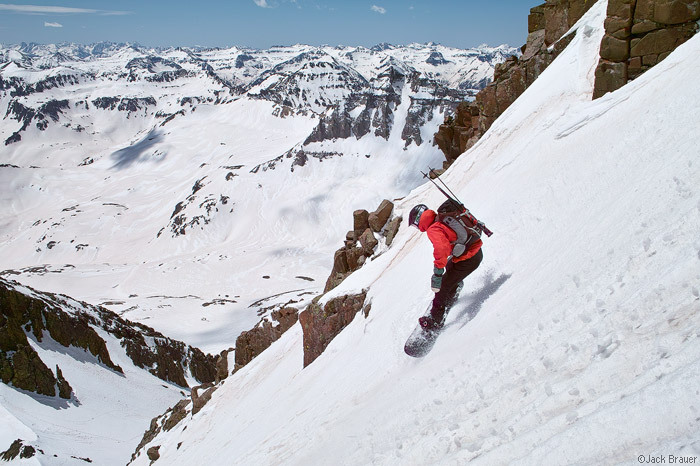 Needless to say, the backcountry powder skiing/snowboarding was incredible this winter. 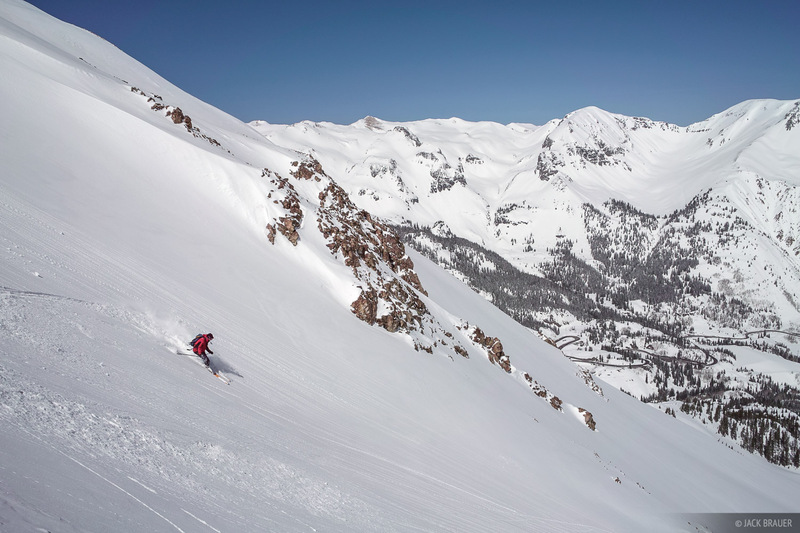 With the healthy snowpack, we've been skiing/riding great lines all the way into June. Here are my favorite photos from some of my backcountry ski and snowboarding adventures this year. I've also included links to trip reports on my blog where you can find more photos and text from each trip. Parker McAbery snowboards down Mt. Sneffels - late May. Check out a few more pictures at the trip report. 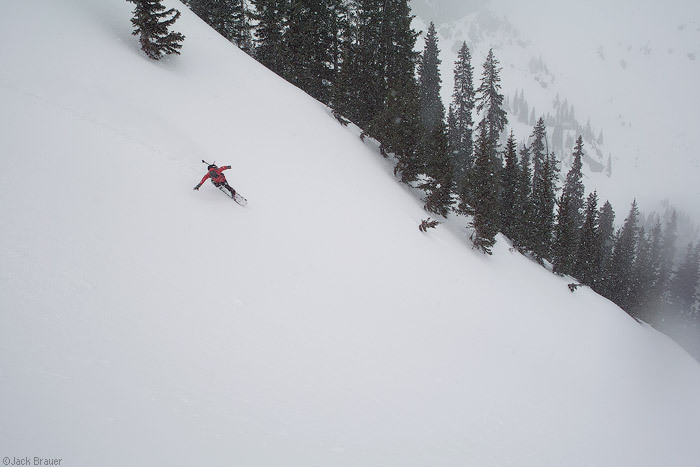 Jeff Skoloda skis some late May powder in Yankee Boy Basin with Mt. Sneffels behind. See the trip report here, along with more photos. Jeff Skoloda skies down Kismet, in the Sneffels Range near Ouray - May. See the trip report here. Hiking up the Pearl Couloir on Cathedral Peak - May. More photos and trip report here. 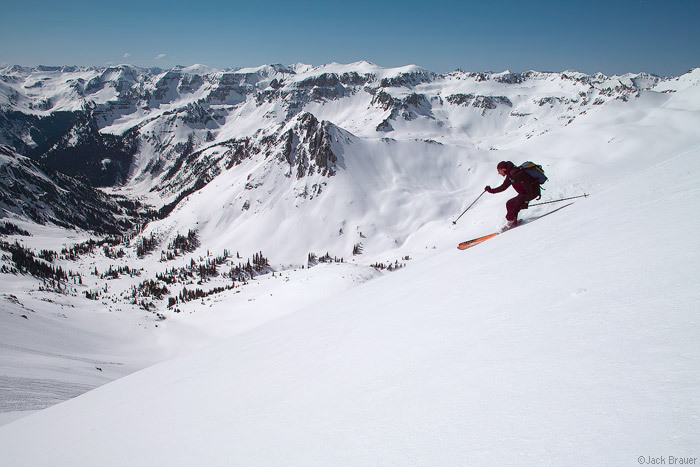 Ann Driggers skis down the Pearl Couloir on Cathedral Peak - May. Trip report. 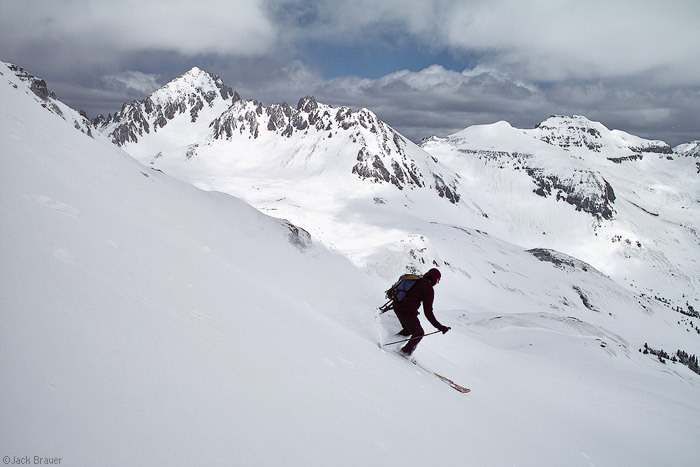 Skiing down Abrams Mountain, the big peak that towers above the town of Ouray as seen from the north. Skier: Ann Driggers. May. More photos and trip report here. 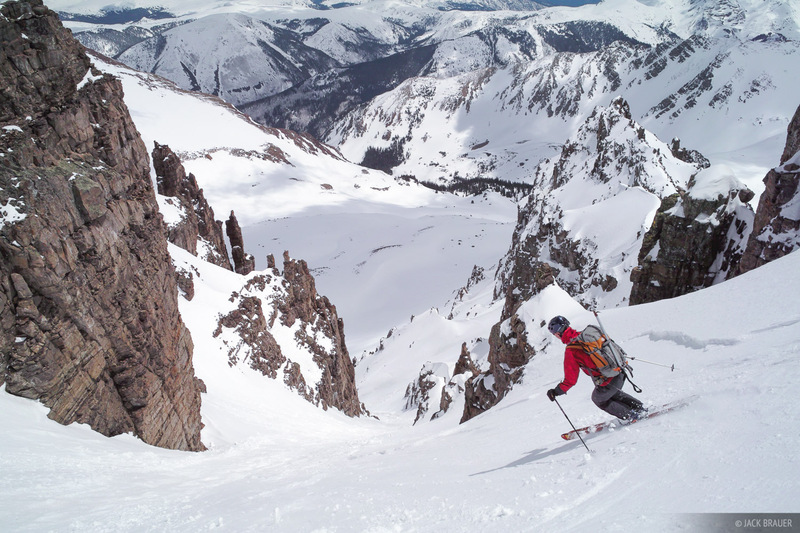 Seth Anderson skis from the summit, at the start of a great 4,000+ foot ski descent in the Ragged Mountains of Colorado - April. Check out the trip report and more photos here. 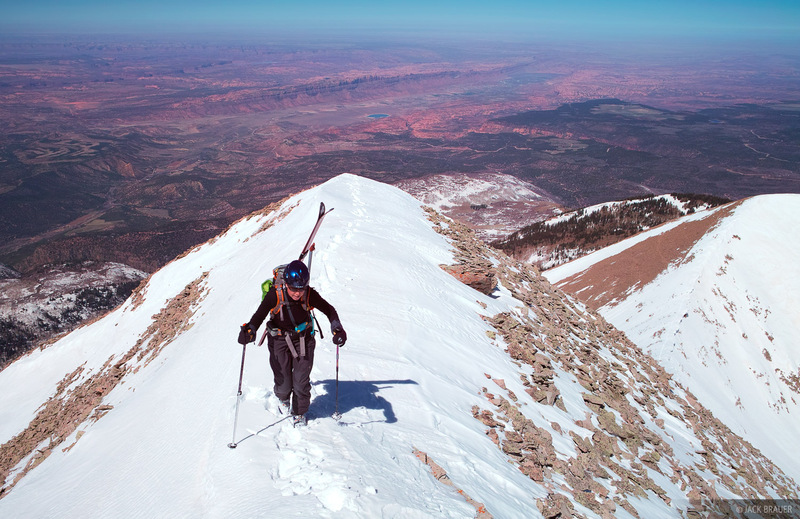 Ann Driggers hikes up the summit ridgeline of Mount Tukuhnikivatz, in the La Sal Mountains high above Moab and the canyonlands - April. Check out the trip report here. 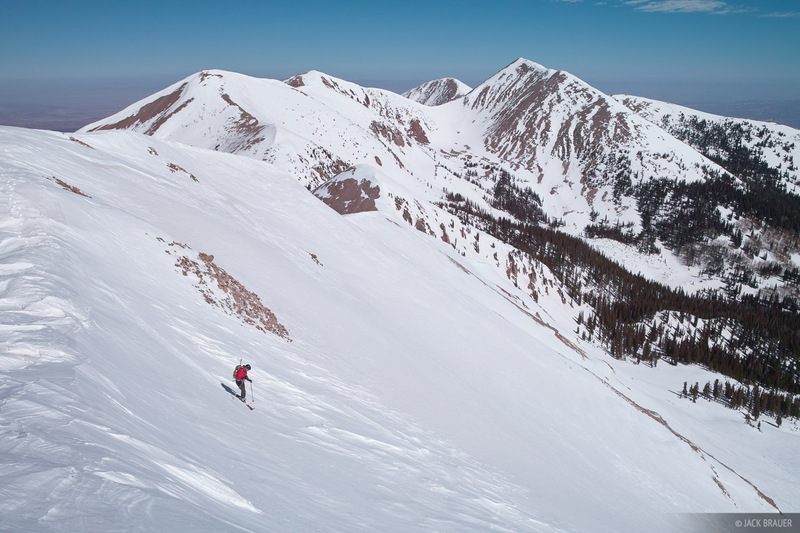 Ann Driggers skis down Manns Peak during a 12-mile ski traverse over 4 peaks in the North La Sal Mountains in Utah. Check out the full trip report with lots of photos here. 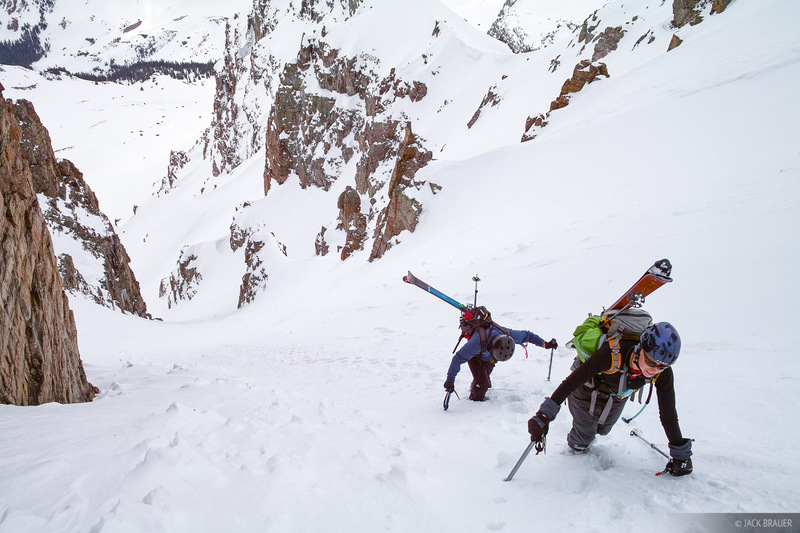 Backcountry skiing in some fresh April powder. Skiier: Roger Schimmel. See the trip report here. Parker McAbery lays out a high speed carve in the San Juans - April. Trip report here. 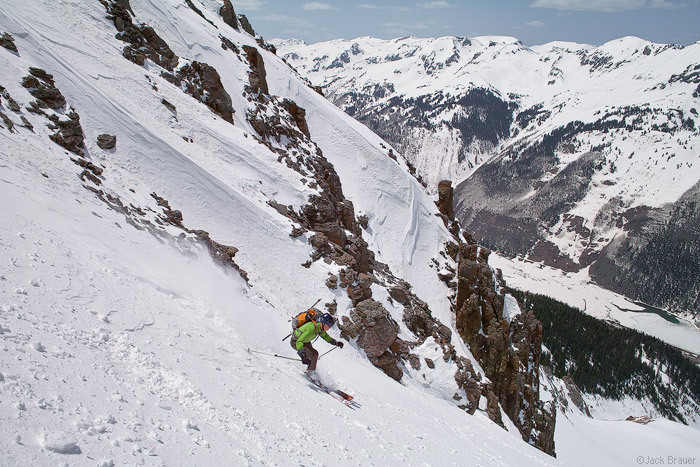 Jeff Skoloda skiing an untracked line in the San Juan backcountry - April. See the trip report here. 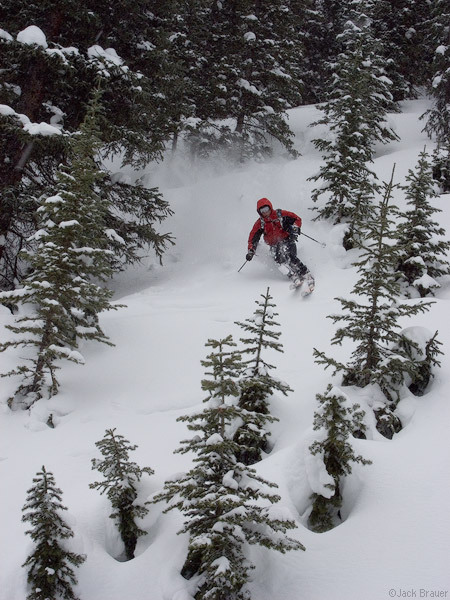 Skier Jeff Skoloda speeds through the freshy powder - February. Posted in Colorado, Skiing & Snowboarding and tagged Colorado, San Juan Mountains, Elk Mountains.